Most attempts to fix engagement issues are doomed to fail because they address the symptoms not the underlying causes. Leaders talk about engagement for good reason. The data shows a meaningful difference in company performance due to differences in engagement. Gallup’s engagement data published in 2017 found that 2/3 of US workers are not engaged (https://bit.ly/2ux5QOw). This figure has not improved in any meaningful way despite many years of investing BILLIONS of dollars per year to improve it. Management often approaches employee disengagement with programs that address the symptoms (behaviors) rather than the actual causes. For example, the employees aren’t collaborating well so let’s get them together for a fun team-building event. These are often well-intended “feel good” efforts that result in temporary enthusiasm which provides the illusion of progress. But, the underlying causes are rarely addressed with these band aid approaches. Disengagement, like most problems in life only have a few basic root causes. To fix engagement issues, leaders need to focus at the cause, not symptom level. Disengagement behaviors start as an effect or symptom of unmet psychological needs. The resulting negative attitudes tend to be contagious and can quickly infect a group of people. This is the vicious cycle companies often see that can be very difficult to break. Understanding engagement really amounts to understanding basic human psychology–nothing advanced that requires a degree in psychology. Making the shift to focus on meeting the psychological needs of employees is a process that requires changing company culture. If leaders hope to significantly improve engagement without sincerely addressing these needs, they’d better be patient to wait for humans to evolve into a new species. Good luck! Below are four human needs and common examples of these needs being unmet and causing disengagement. Practical examples of how to satisfy the previously unmet needs are also provided. Example that leads to satisfied need: Earnestly listening to employees’ concerns, opinions and ideas with the intent to understand and consider their merits before responding. This replaces the common response of defending positions or punishing employees for expressing contrary viewpoints. Management isn’t required agree with the employees. What’s important is the sincere effort to listen to understand and consider their inputs. 2. Need: Express our gifts and talents-things we are good at and enjoy doing. Example that lead to unmet need: Significant percentage of employees’ job duties not matching their gifts and talents (e.g. highly creative person doing work that requires close adherence to policies and procedures). 3. Need: Feeling that our work has meaning/purpose beyond ourselves. The results of our efforts matter to others. Examples that lead to unmet need: Not understanding or believing in the company’s mission and vision. Lack of clarity in how job duties produce results that have real value to others. Example that leads to satisfied need: A mission and vision that clearly communicate the value the organization provides. Employees have clear understanding of how their work impacts this mission and vision. 4. Need: Personal progress and development. If we make the effort, we want to believe that we can be more, do more and have more as a result. Examples that lead to unmet need: People are not held accountable to clear standards of job performance. Lack of fair and consistent consequences of results- both positive and negative. Consequences for results. Management not supporting employee performance improvement efforts (e.g. useful feedback, training and development). In summary, it’s understandable that leaders gravitate towards easy, quick-fix solutions to engagement problems. There are plenty of people to make these suggestions and sell them to us. These efforts usually have a positive, initial effect that seduces us into thinking that we did something with long-term benefit. However, as in most things in life, there’s no substitute for working at the cause-level and creating new habits of thinking and behavior. 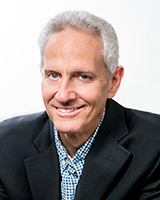 Brad Wolff is Managing Partner for PeopleMax, an Atlanta-based Workforce Optimization firm which focuses on helping companies gain control over their people problems to increase productivity, profitability and employee engagement while reducing stress and conflict. With more than 20 years of experience, Brad’s background includes a Professional Coaching Certification, a certification in Managing Change in Human Systems and certifications in using multiple assessments. As a former CPA he also understands the numbers and quantitative side of every business. You can learn more about Wolff at https://peoplemaximizers.com/ and connect with him via LinkedIn. More of Wolff’s insights are also found in his new book, People Problems, now available on Amazon and other fine booksellers.